Tom Linebarger of Cummins provides his insight into the future of diesels and the transformation of goods vehicles to electric powertrains. As Britain takes a position of global leadership to reduce pollution caused by fossil fuel powered vehicles, Tom Linebarger, Chairman and Chief Executive Officer, Cummins, the world’s largest independent diesel engine manufacturer headquartered in Columbus, USA and with technical centres and manufacturing locations across the UK, outlines his vision for the future. He explains his confidence to meet the challenges ahead and reveals Cummins’ plans for powering a prosperous and sustainable world. We recognise the need to offer products and services that help our customers succeed and win in their business. But, to fulfill our Mission as a company, we must also provide products that get the job done while having less impact on the environment. Achieving both of these objectives simultaneously is incredibly challenging and requires deep technical expertise. It also means a one-size-fits-all answer is not viable. For example, an emerging trend is operators looking to specify engines which are more precisely matched to their requirements for the optimum balance of performance, productivity and fuel efficiency. With almost 100 years of experience serving customers in our industry, we believe we are well positioned to meet these challenges. For more than a decade, our research and development teams have been working with a number of technologies that can potentially offer high levels of performance in commercial vehicle applications at significantly lower emissions levels. These technologies are now maturing to a point where they are economically viable today, or will be in the near future. Today, our natural gas engines have near zero emissions and already are powering bus fleets and refuse trucks around the world. Advances in natural gas products are helping places such as the ports of Los Angeles where they struggle with air quality issues and in other municipalities addressing environmental concerns. We see great potential for natural gas in power generation markets as well. Electrified powertrains are becoming affordable for certain types of commercial vehicles, particularly urban bus fleets and pickup and delivery trucks. By the time Cummins celebrates its 100th birthday in 2019, we will launch a fully electric powertrain and a range-extended hybrid powertrain will follow in 2020. As more parts of the world generate cleaner electricity, we expect electrified powertrains to become an increasingly-viable option for other types of customers, too. We are committed to being the leading provider of electrified technologies in the markets we serve. Contrary to popular opinion, the internal combustion engine’s demise is not as imminent as some, who have a stake in electrification, may lead you to believe. Technology advances are also having a positive impact on diesel engines and we will continue to innovate here, making our engines cleaner, more efficient and more reliable. 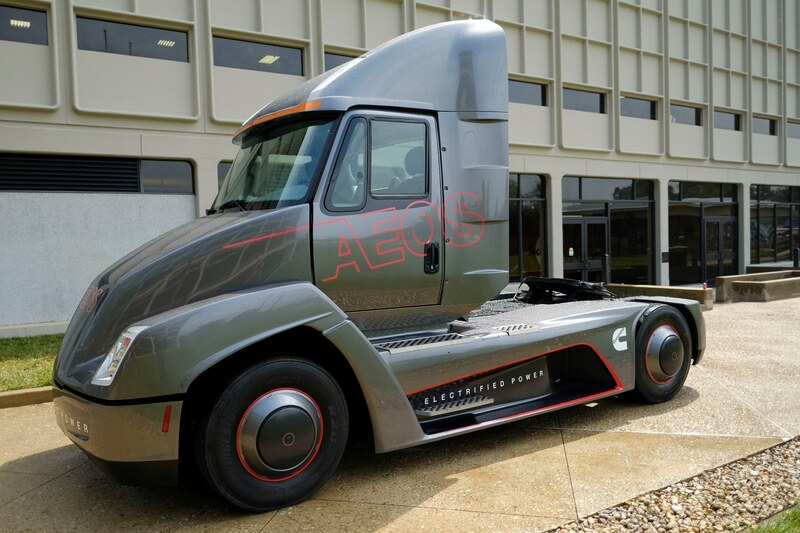 We recently produced a demonstration truck and engine with Peterbilt Motors for the Department of Energy that achieved a 75 percent increase in fuel economy, a 43 percent reduction in greenhouse gas (GHG) emissions and an 86 percent gain in freight efficiency against a baseline truck. The power density of diesel is unmatched, and we believe it will take many years to replace diesel across the entire spectrum of products that we provide. Finally, we know that our industries and markets will continue to change and that technologies will continue to evolve. That’s why our research and engineering teams are working on a wide variety of products beyond these examples, including alternate fuels and fuel cell-driven electric powertrains. And we will make technical investments around the world, working with customers, government agencies and other industry partners to explore new power technologies and to look for new markets, new partnerships and other growth opportunities for our company. In all cases we will be ready to bring our customers the right technology at the right to time to help them achieve high levels of success. Our 100 year history serving customers in our industry means we have built critical capabilities, including technical leadership, large manufacturing volumes that provide economies of scale and a global service and support network. We also have a deep commitment to both customers and the environment that is rooted in our company values. We understand that to achieve both we have to constantly innovate and be willing to examine everything we do. I have never been more confident that we are up to the challenge.